Government of Barbados names road after Rihanna – Royal Times of Nigeria. The government of Barbados is honouring music act, Rihanna, with her own street in Barbados and it’s the very same one she grew up on. 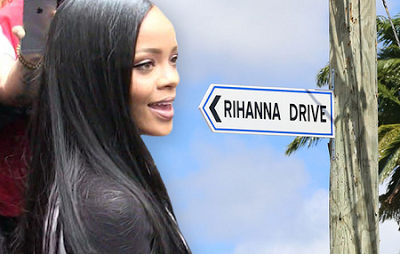 The government will officially change Westbury New Road to Rihanna Drive today in her honor. The sign’s already up, but the official name changing ceremony will take place today and Rihanna is expected to show up. Rihanna lived at the home until the age of 16 when she left to pursue her music career. Her family doesn’t live there anymore but it remains a major tourist attraction.